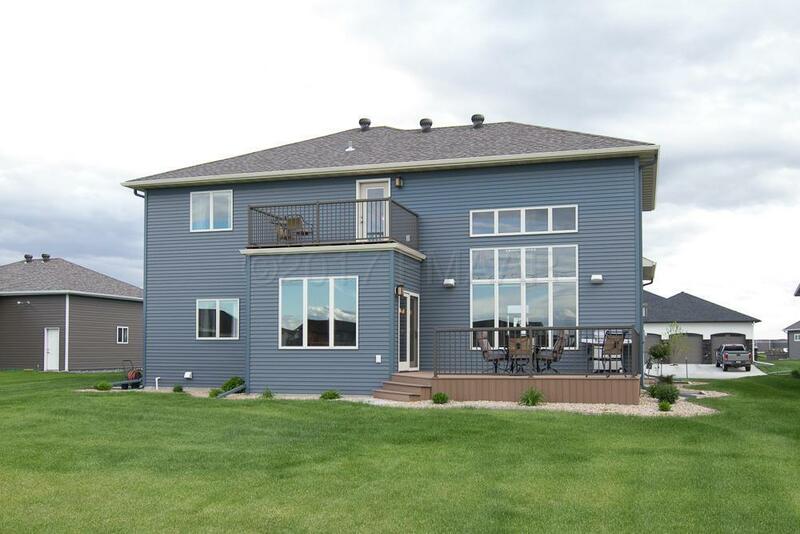 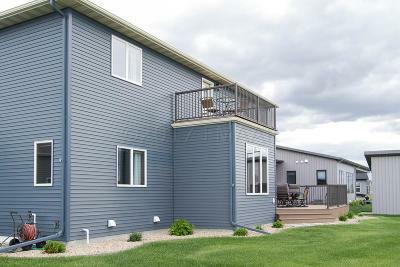 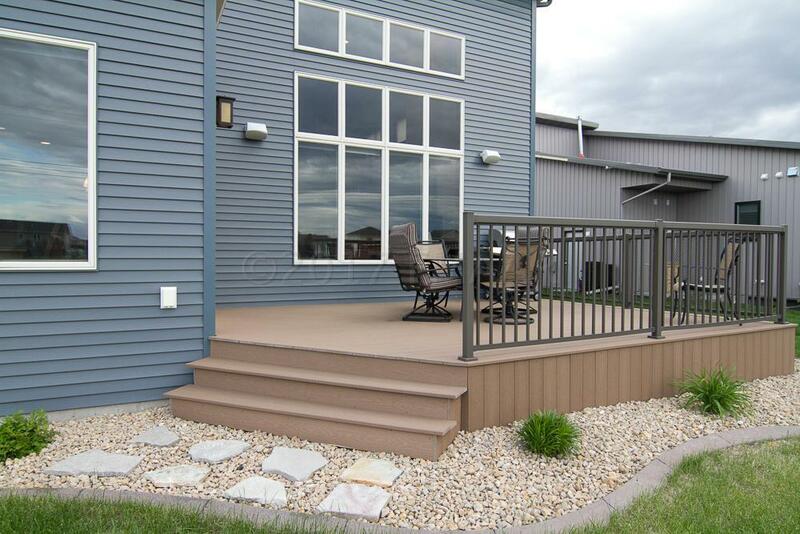 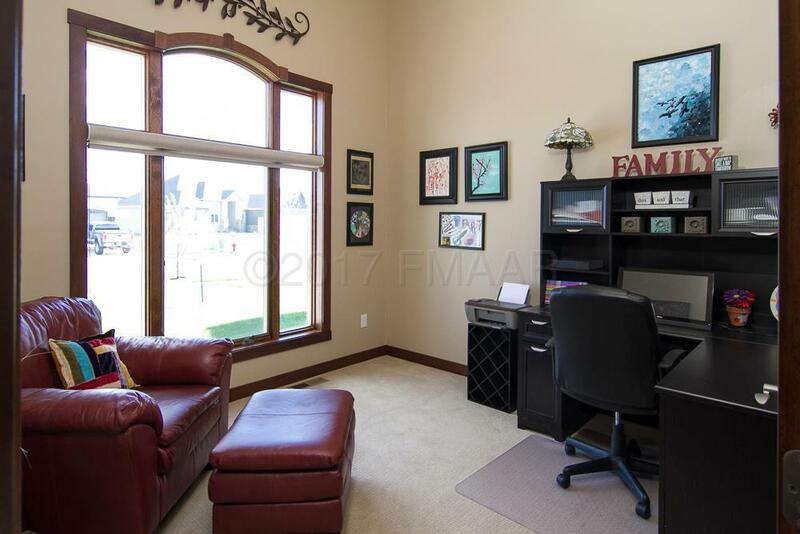 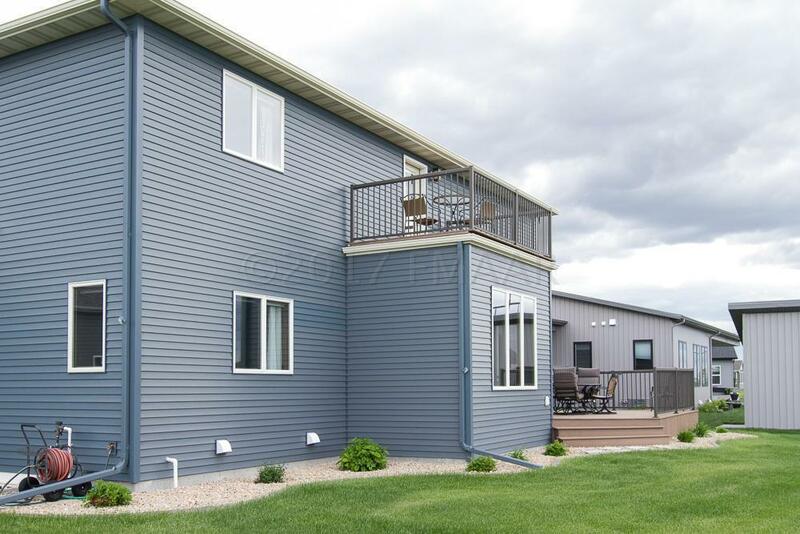 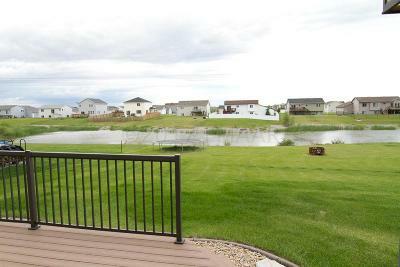 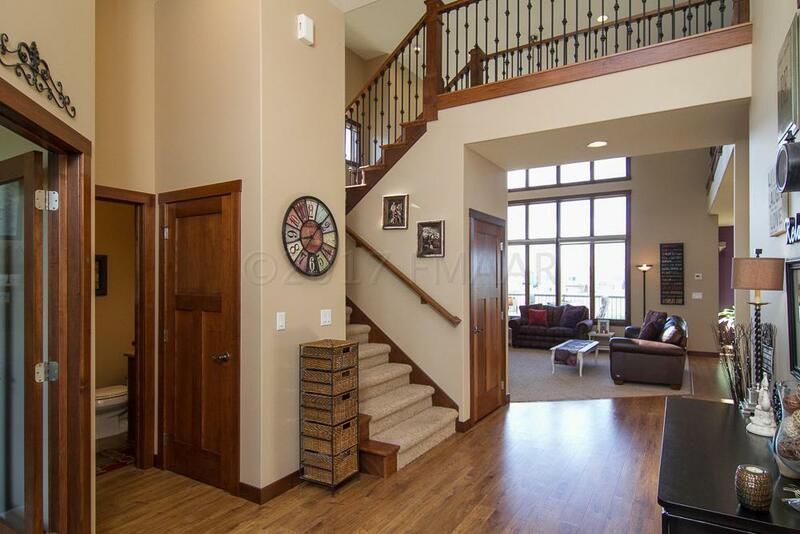 Executive 2-Story on the pond in the Wilds 2nd Addition. 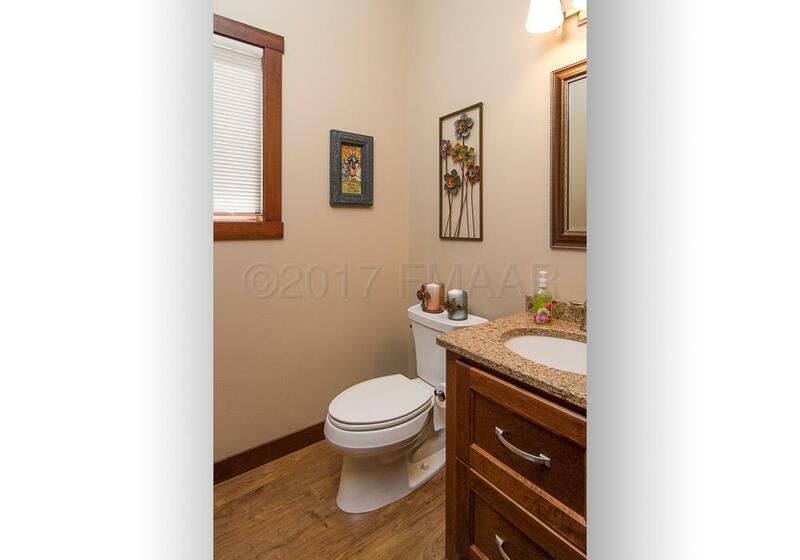 Truly a showcase home with grace and style. 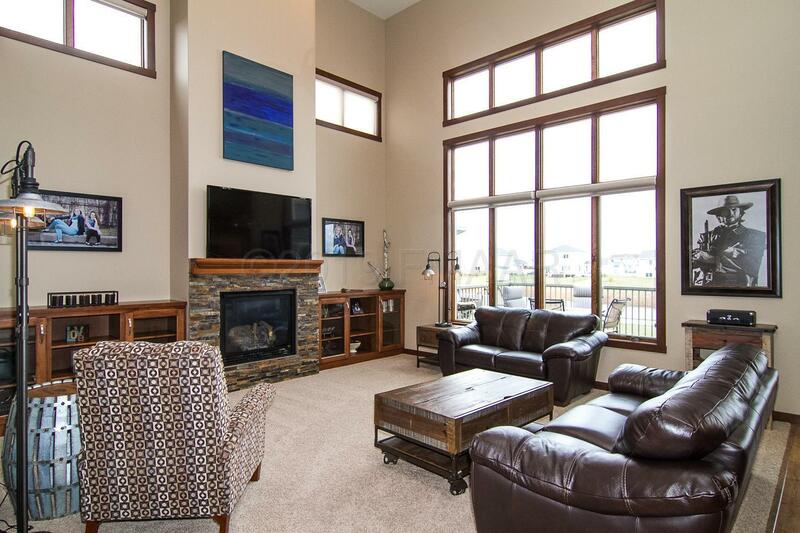 Natural light abounds with a wall of windows overlooking the pond. 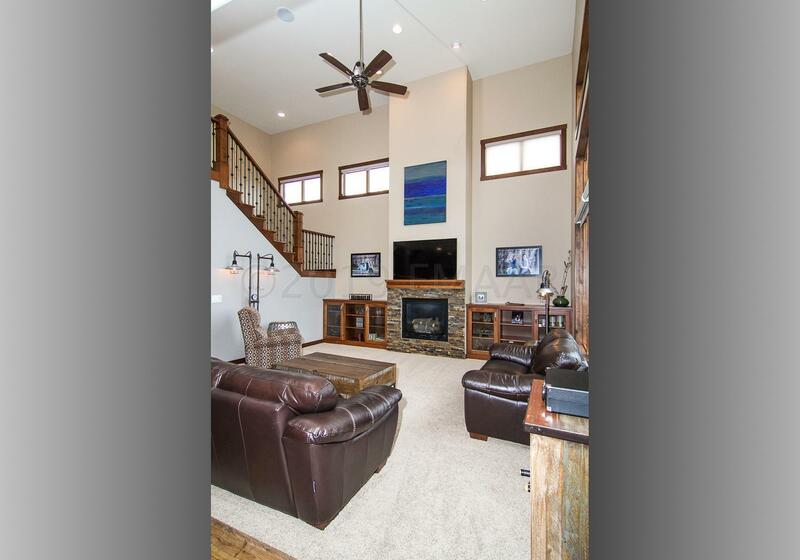 The great room with 18'+ vaulted ceilings and gas fireplace with stone surround flow seamless into the grand kitchen. 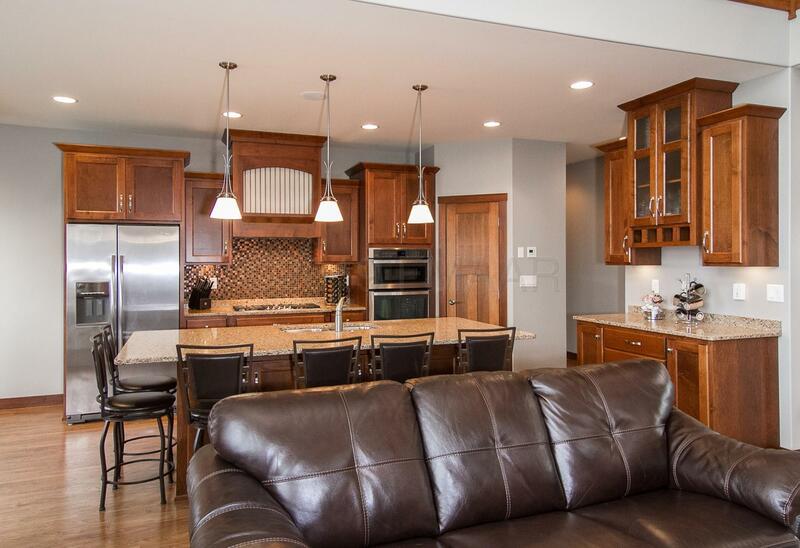 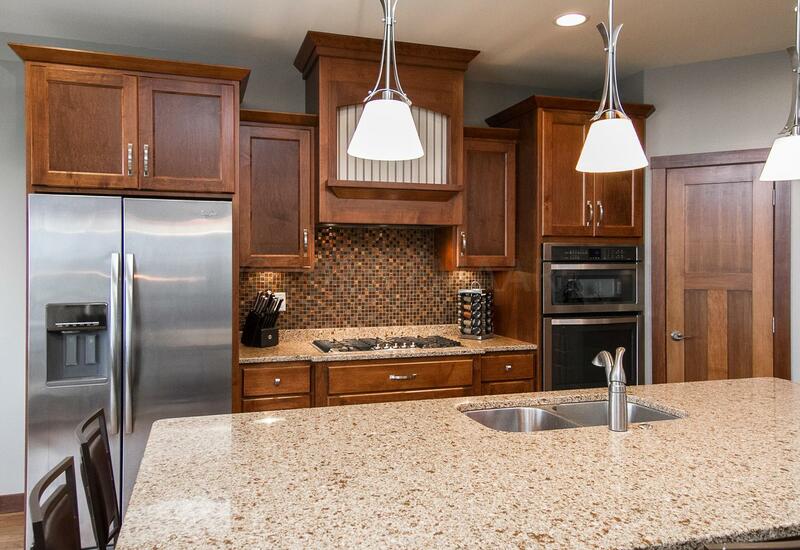 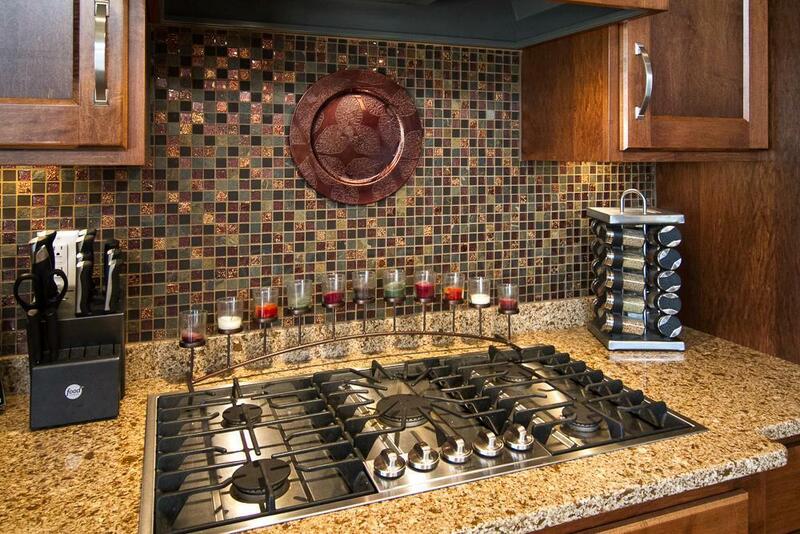 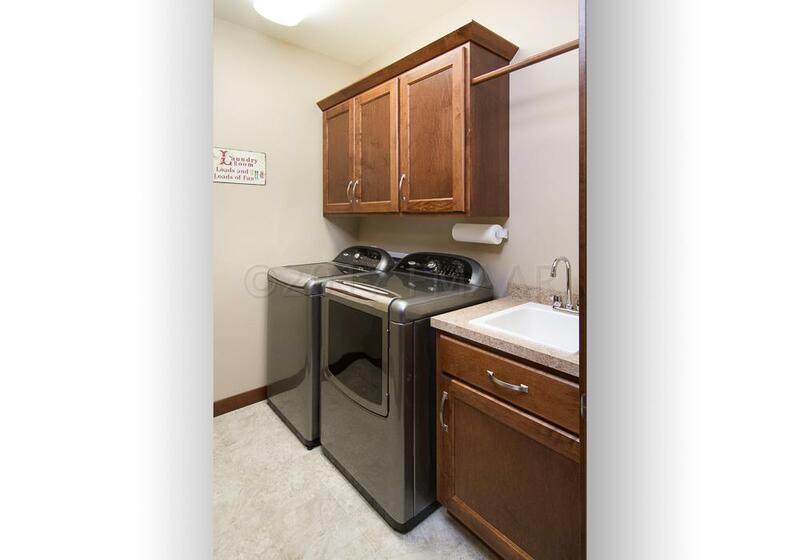 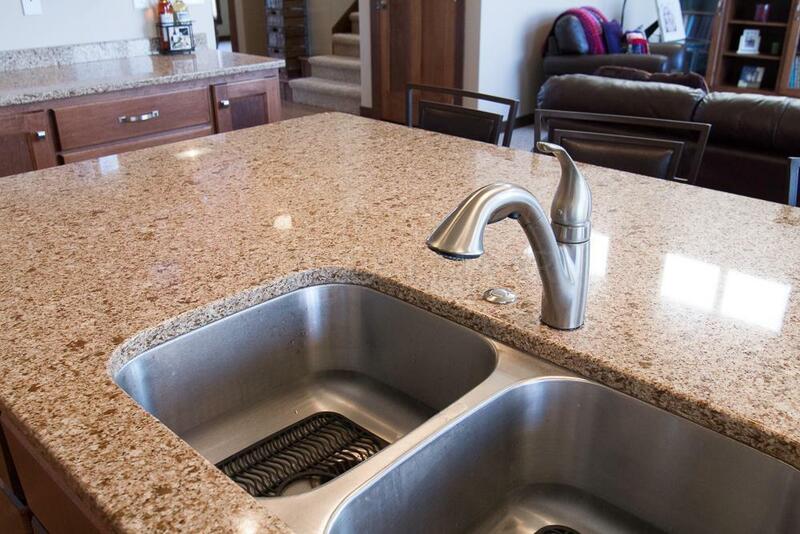 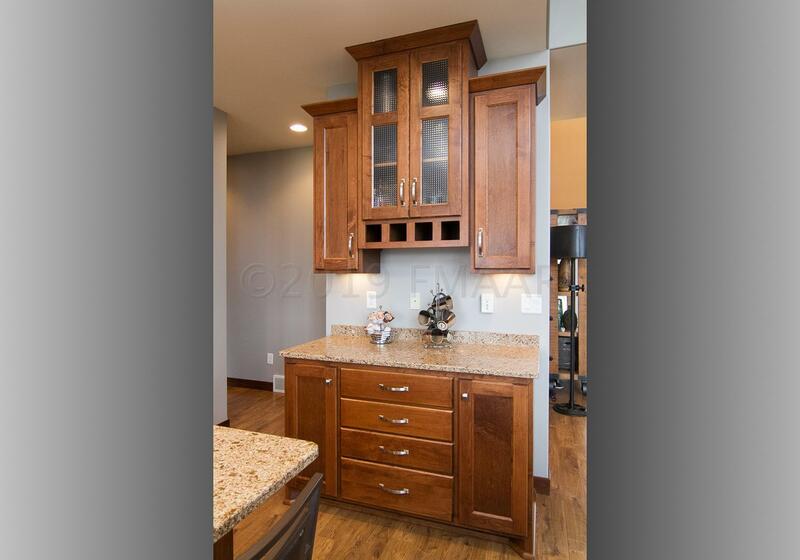 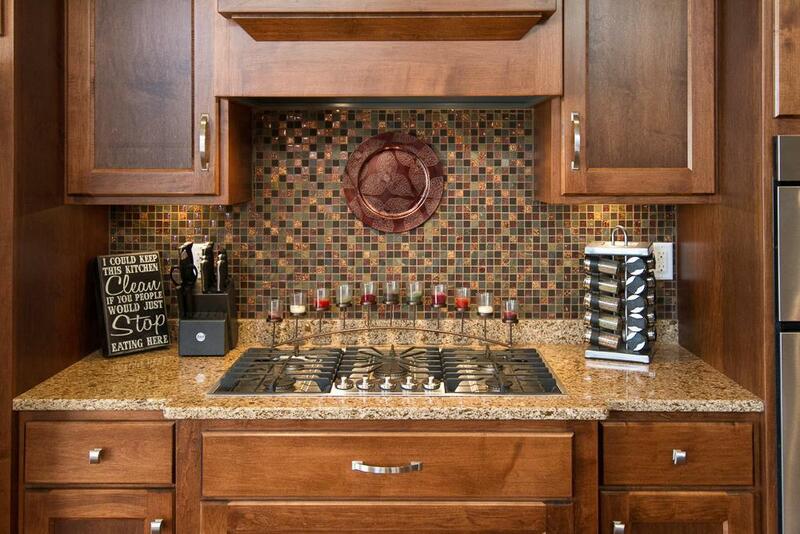 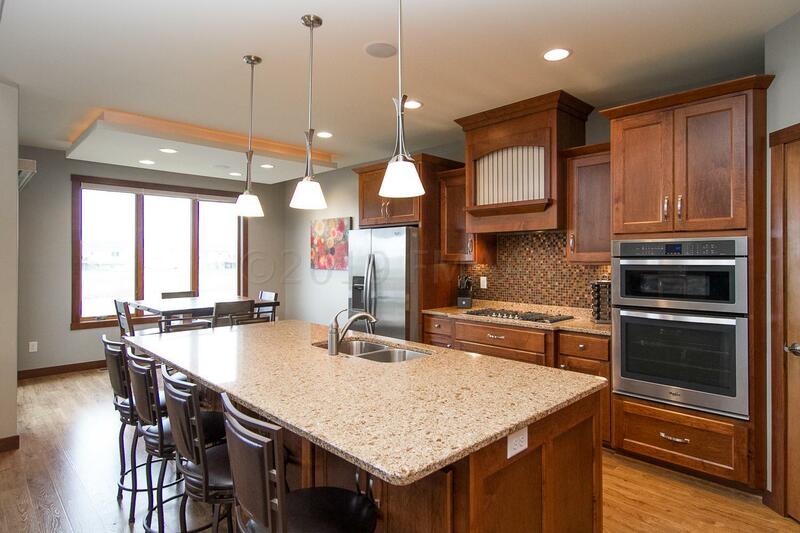 Granite countertops and stainless steel gourmet appliances blend tastefully with the custom maple cabinetry. 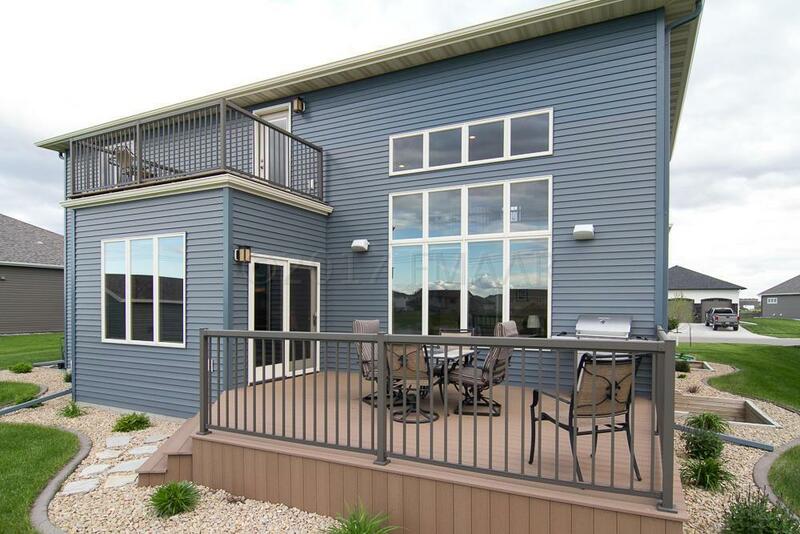 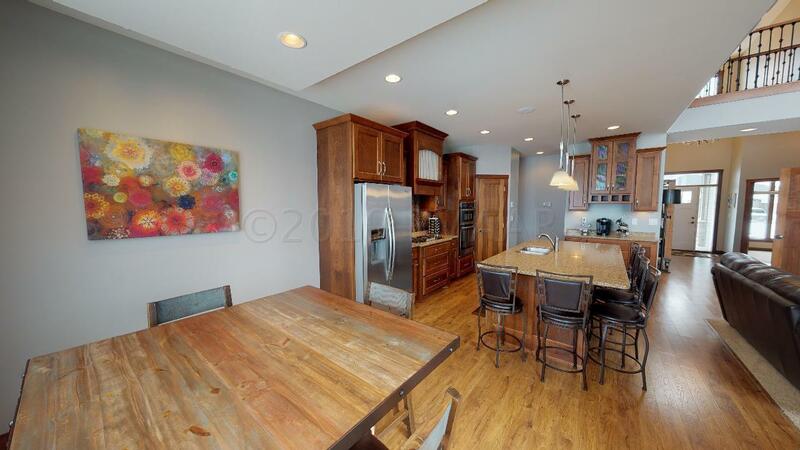 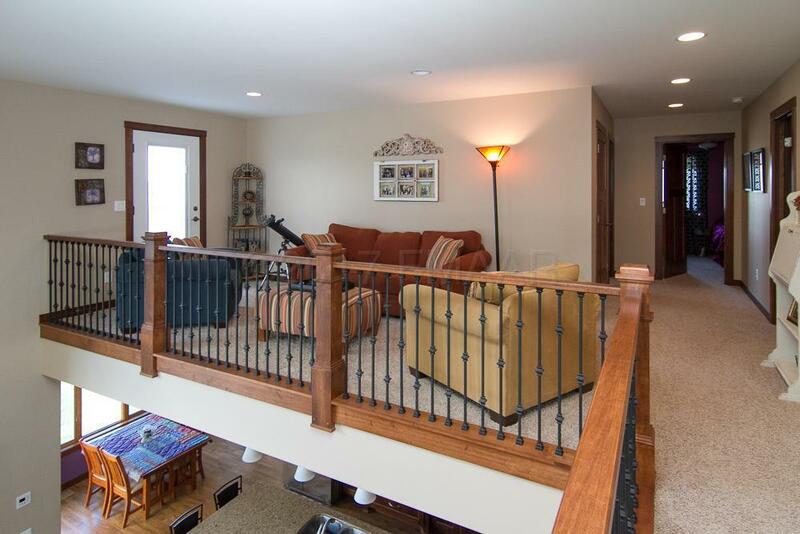 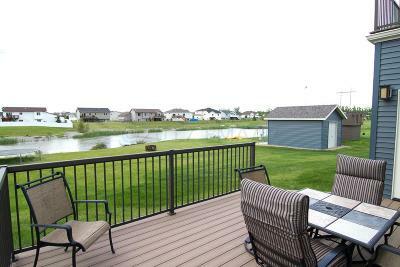 The dining room overlooks the pond and easy access to the expansive maintenance free deck. 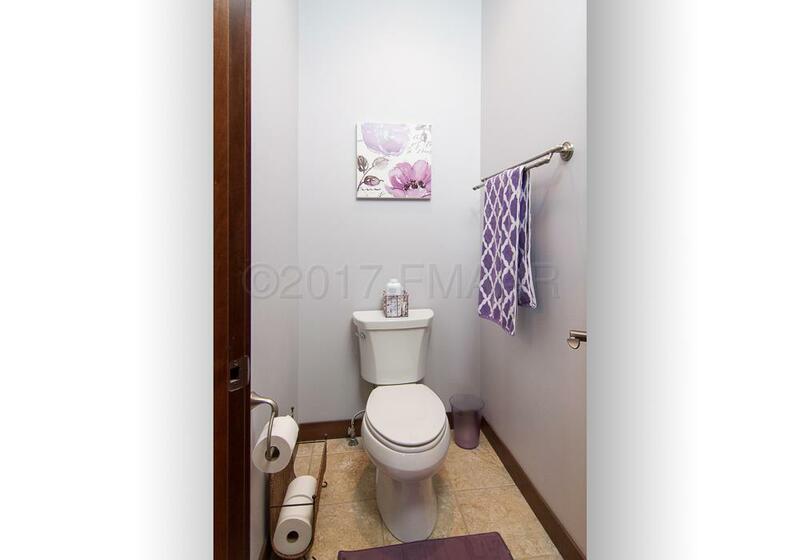 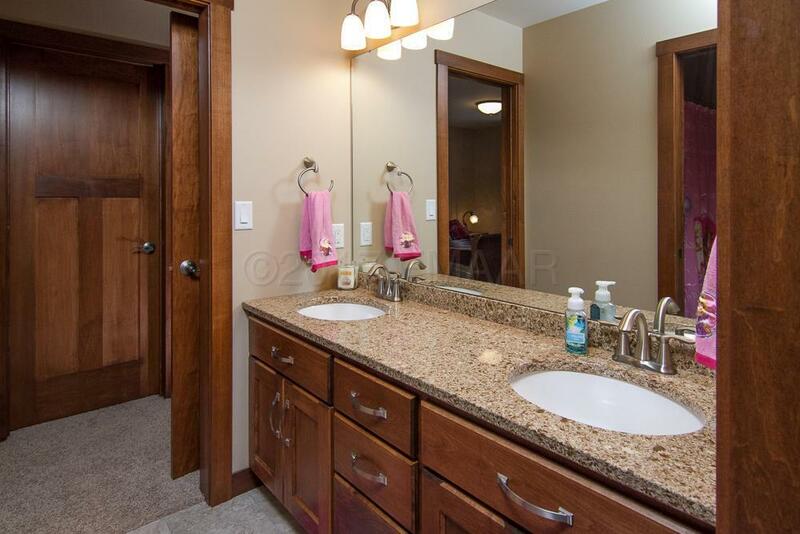 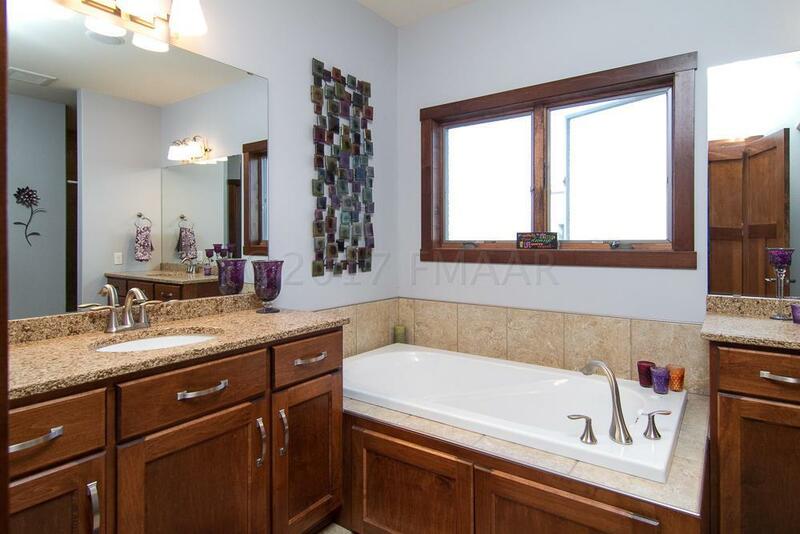 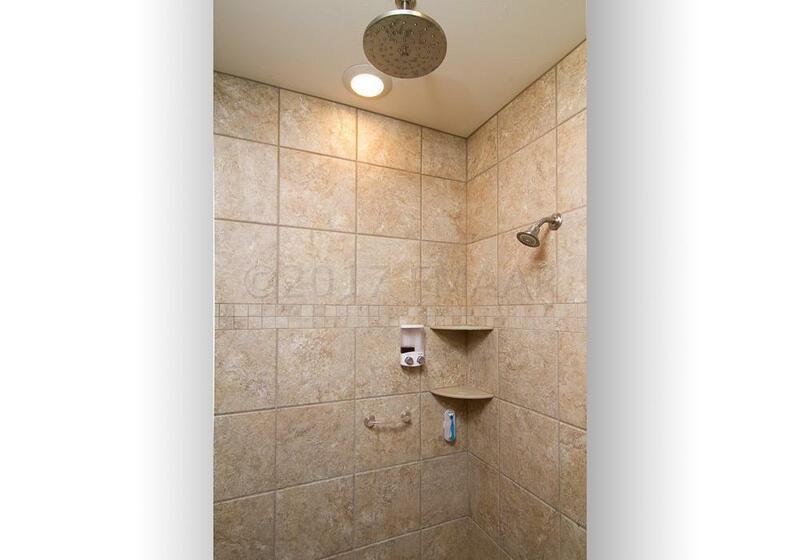 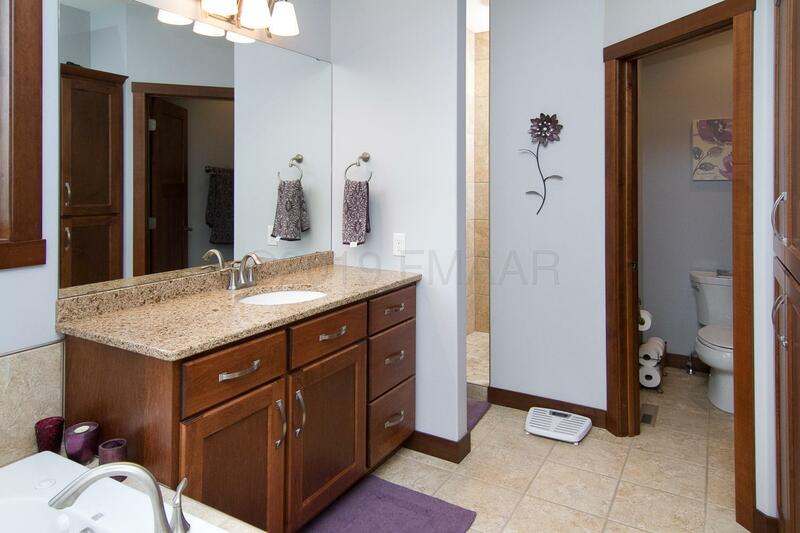 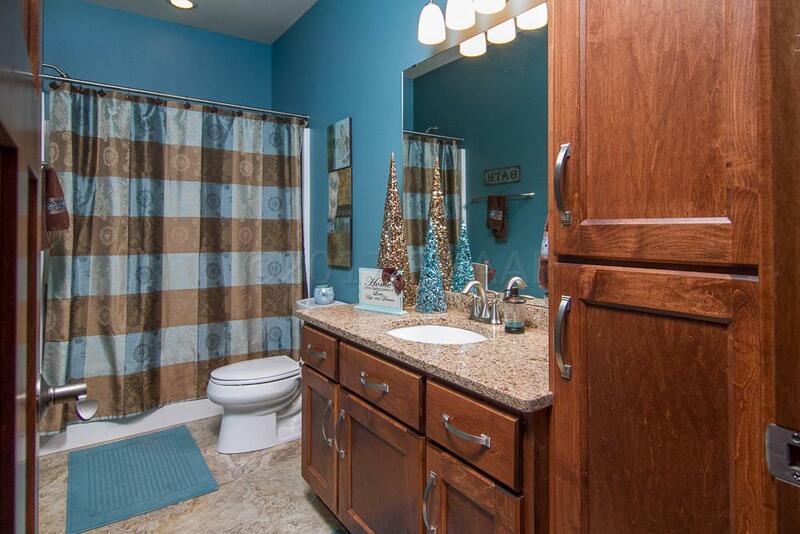 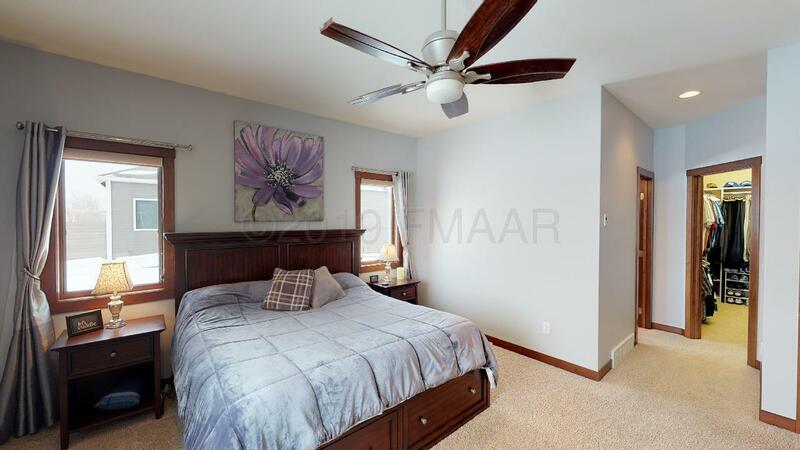 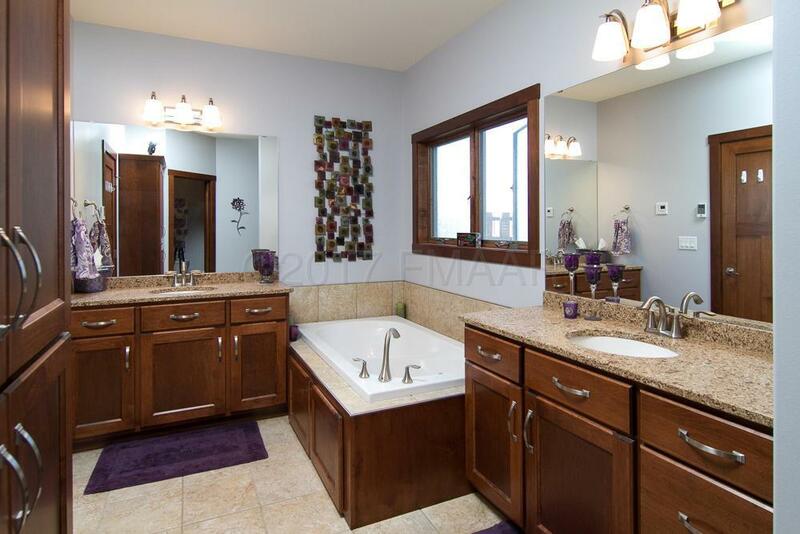 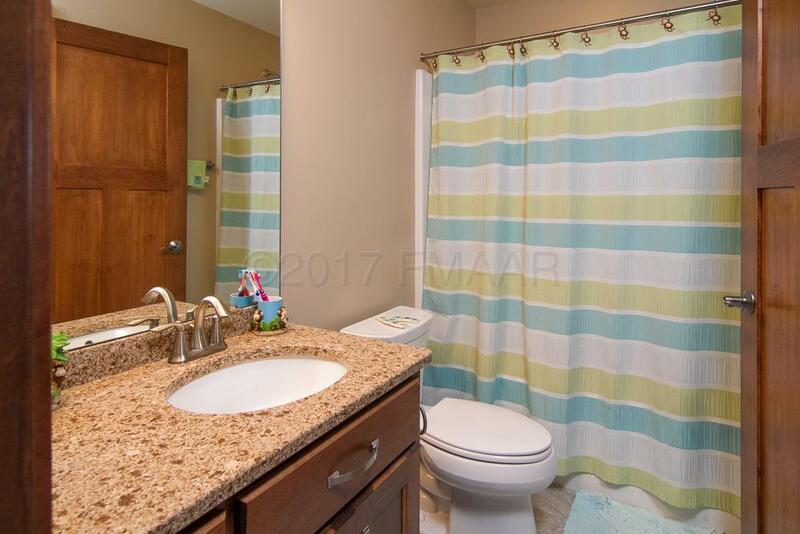 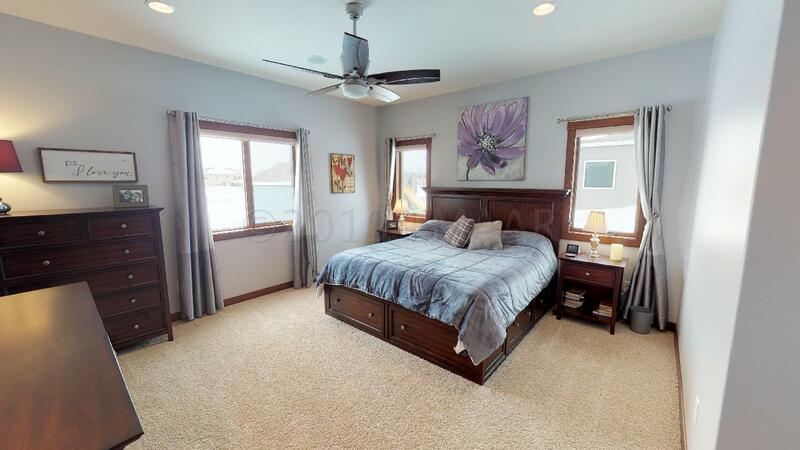 The MAIN FLOOR MASTER SUITE is huge and is luxurious with granite sinks, jacuzzi tub, tiled shower, heated floors, and over-sized master closet. 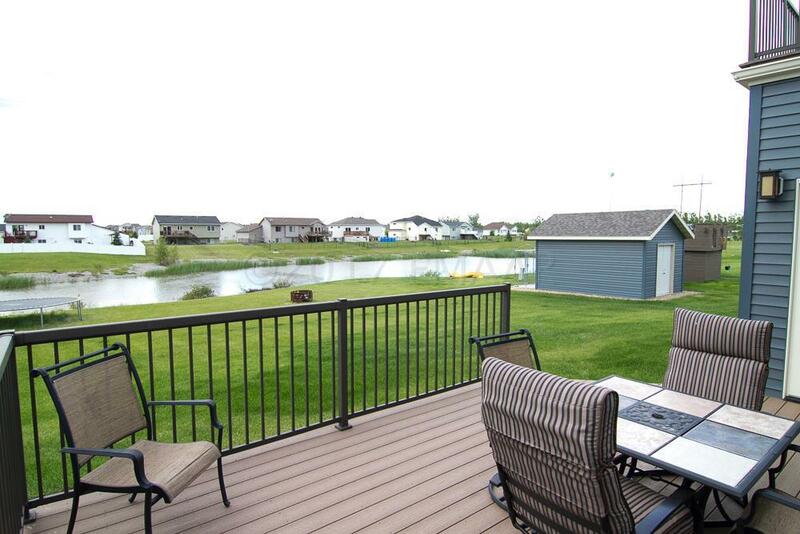 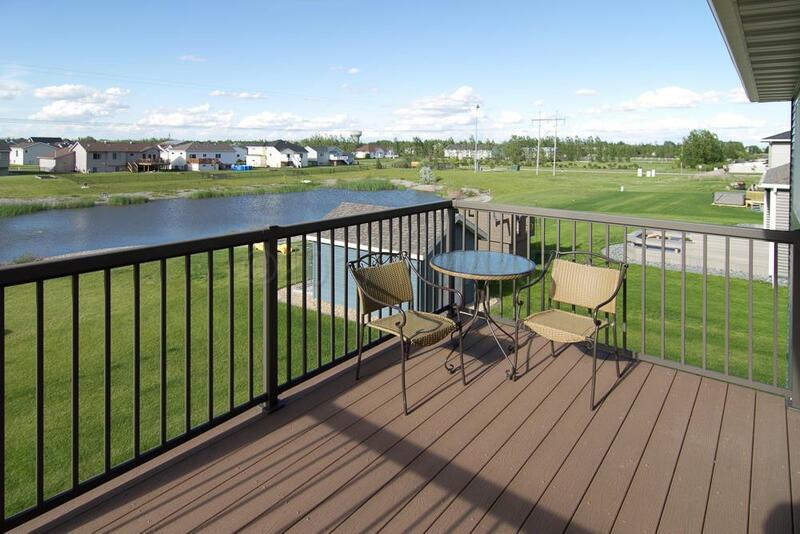 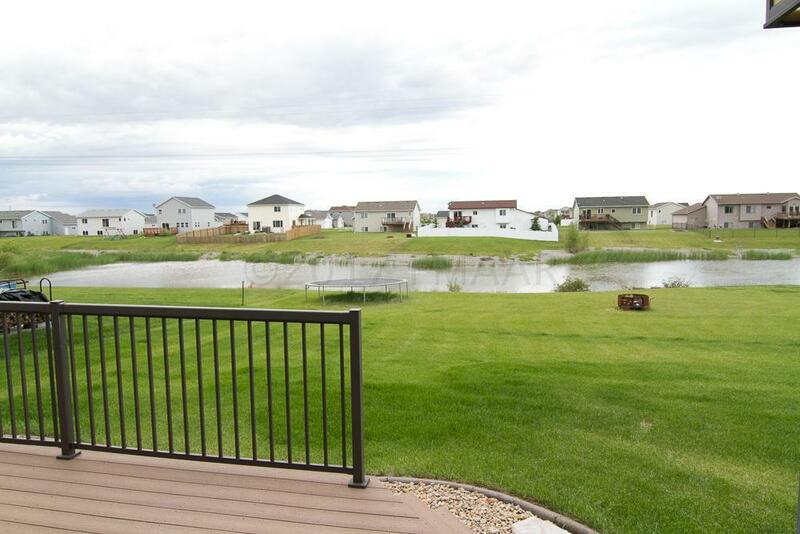 Take in the pond view from the second floor outdoor deck off the upper level family room. 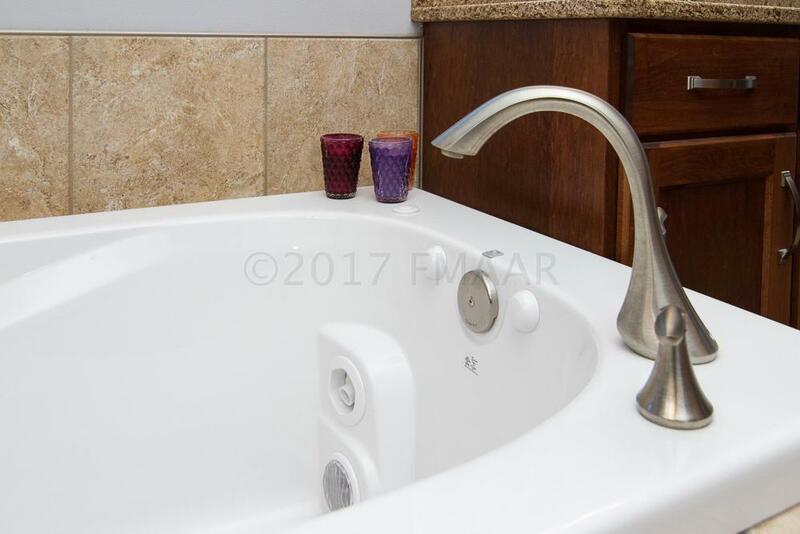 Plus you'll find 3 large bedrooms and 2 full baths.... one a "jack & jill" bath and the 3rd bedroom has a private full bath. 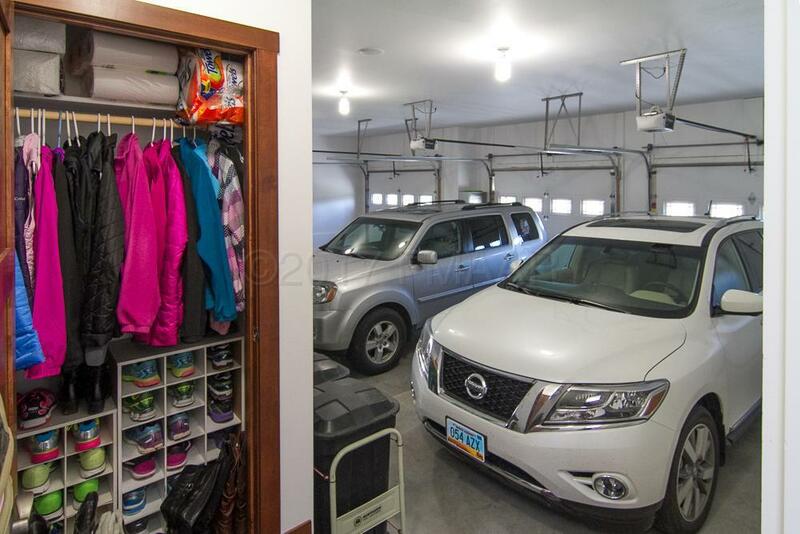 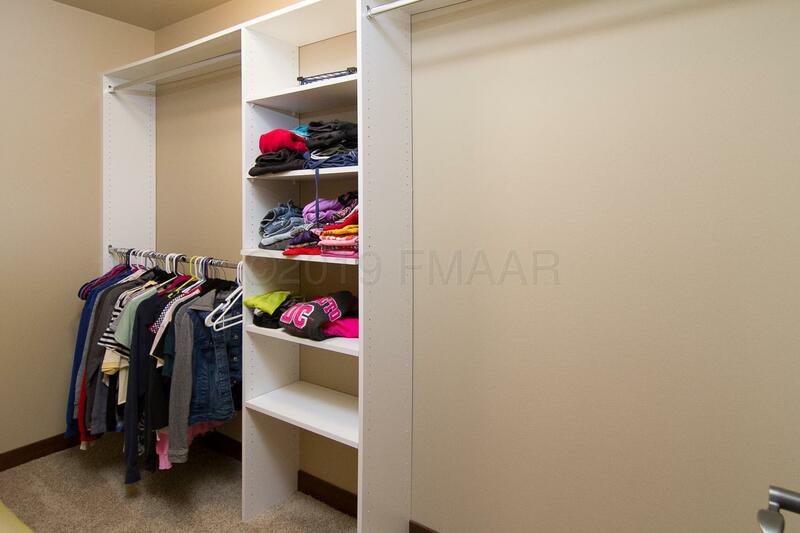 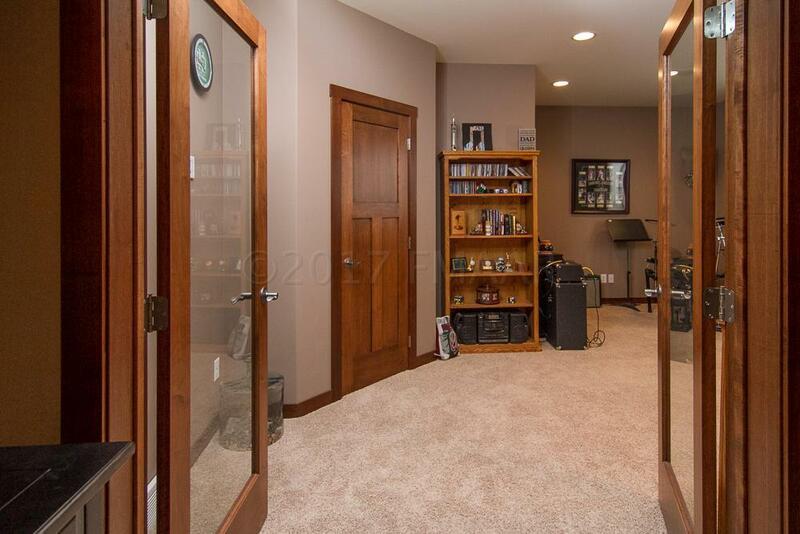 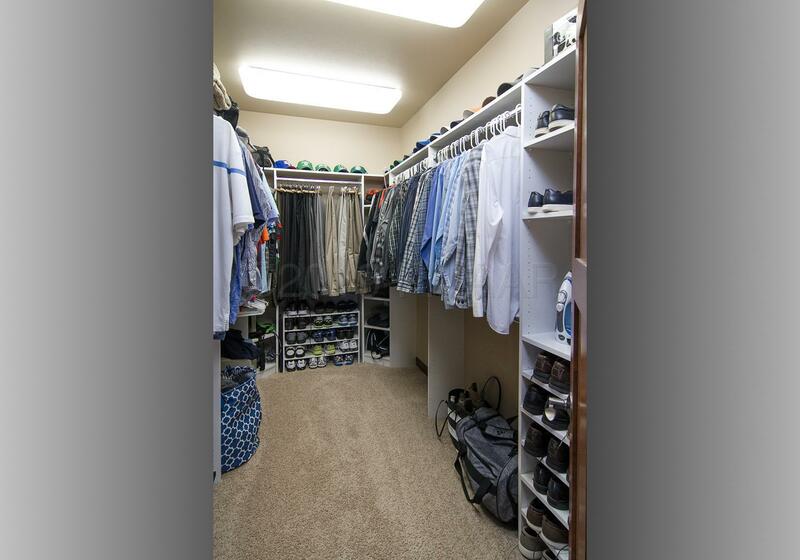 Every bedroom in this home has large walk-in closets. 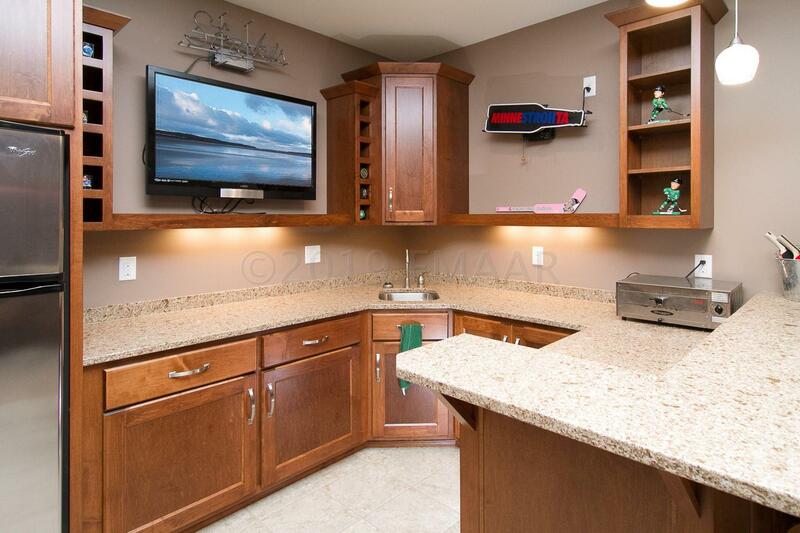 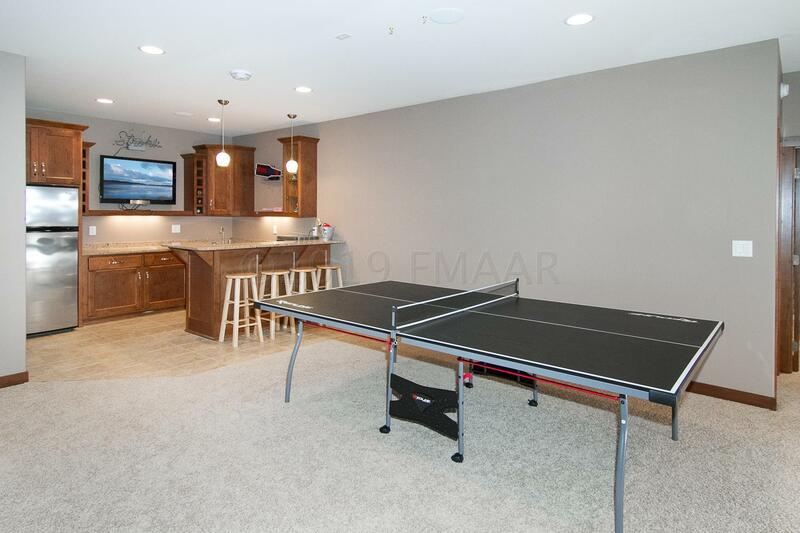 The basement was made for entertaining with 9'ceilings, corner gas fireplace with floor to ceiling stacked stone and large bar area with heated floor...your family and friends will gather for every game and holiday. 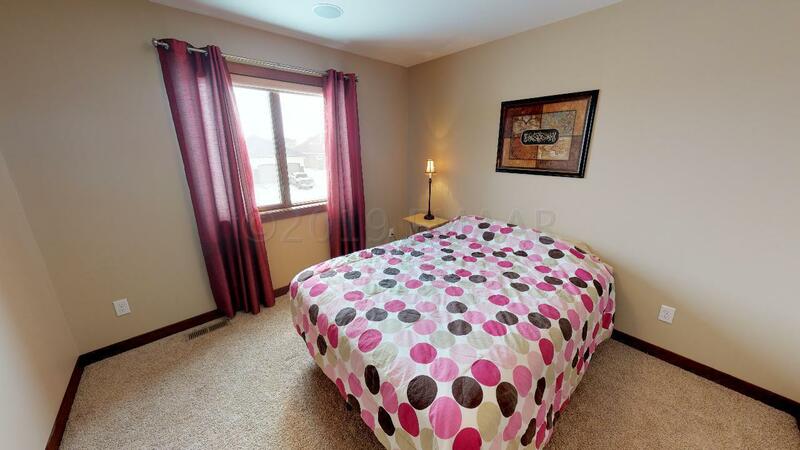 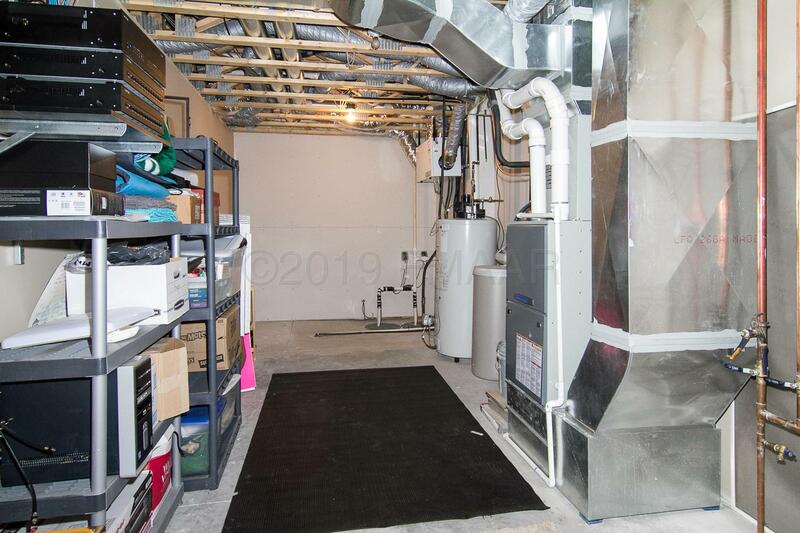 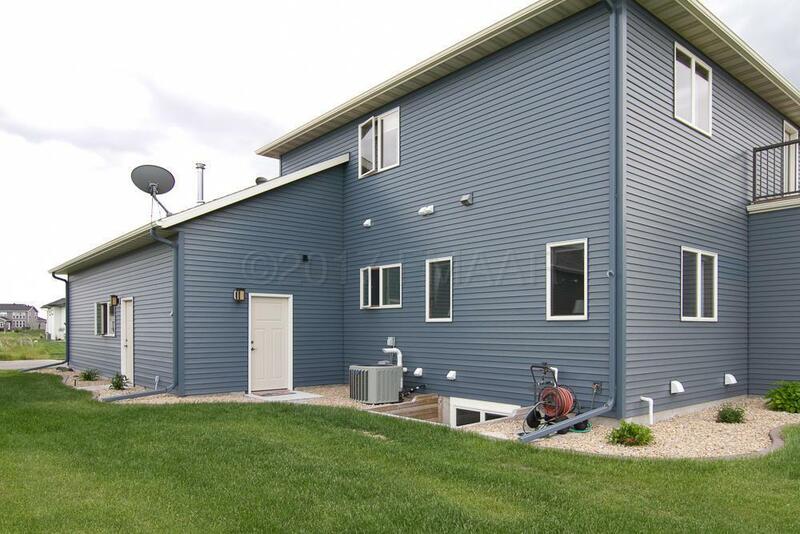 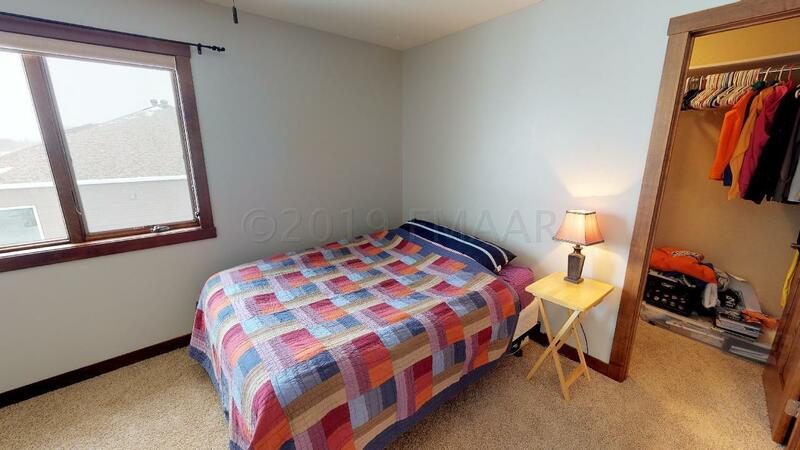 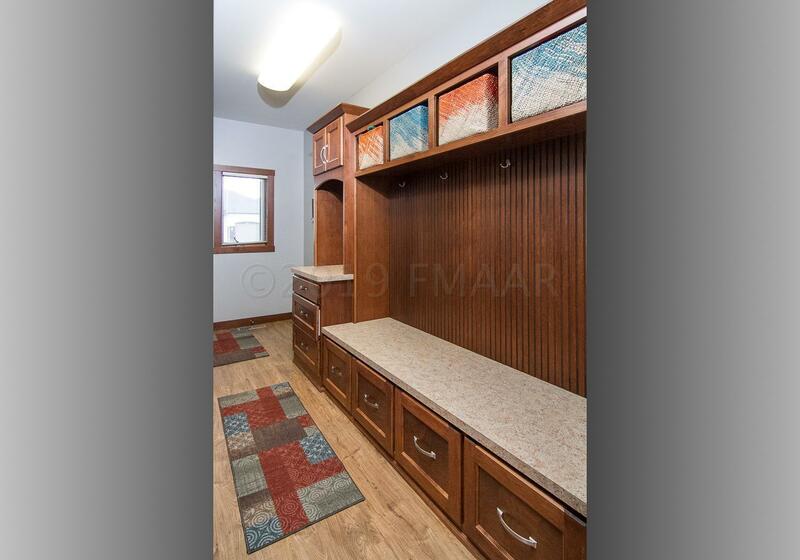 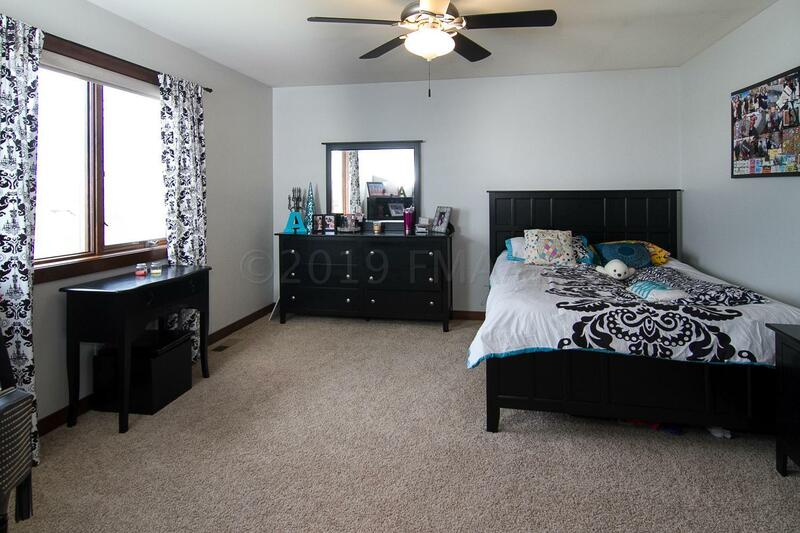 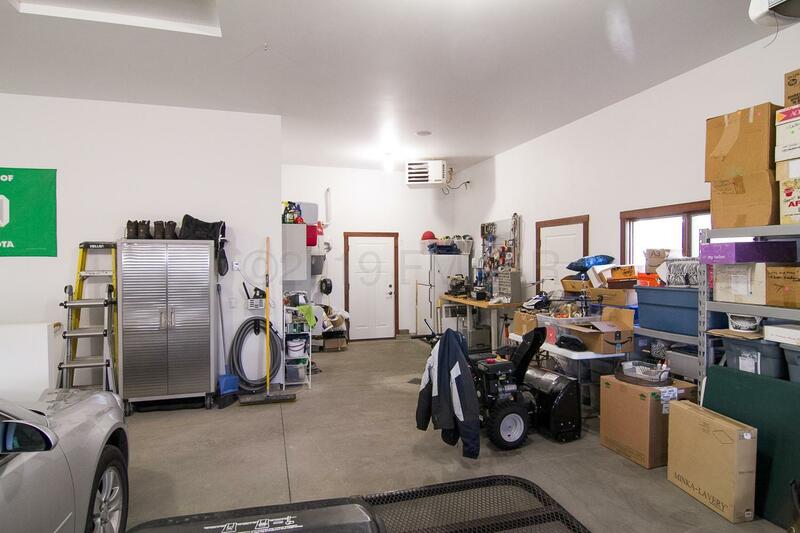 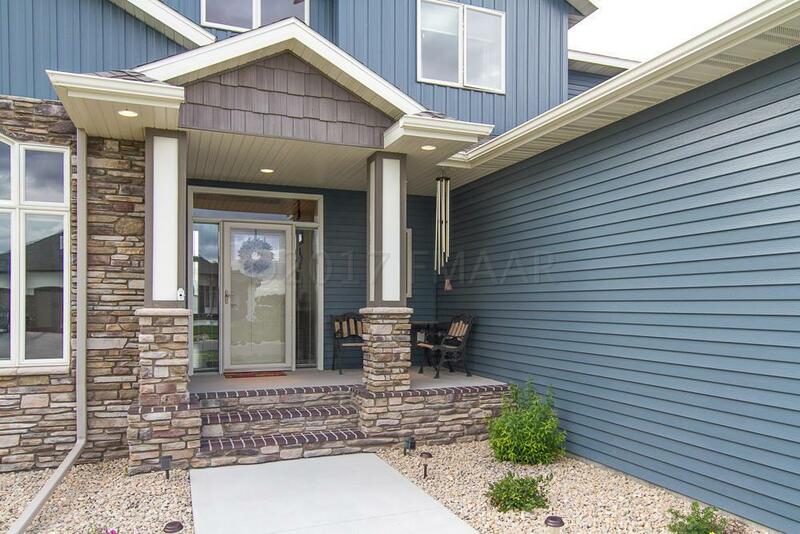 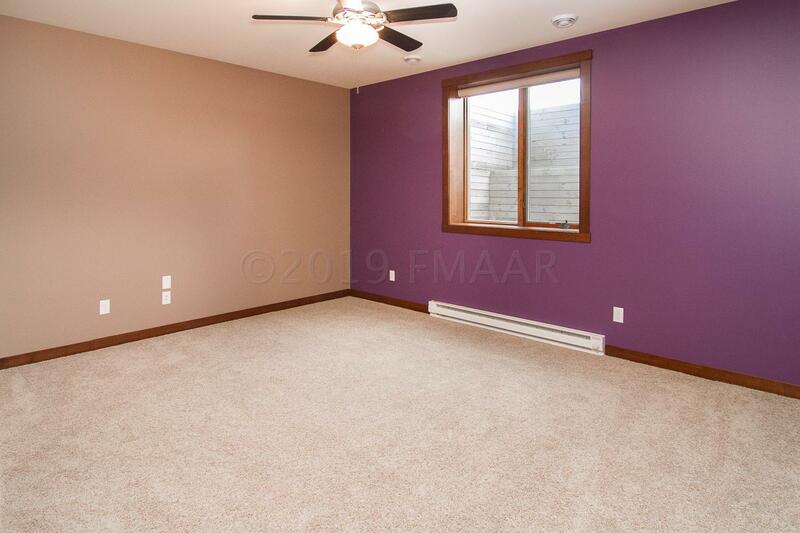 Also, two large additional bedrooms both with walk-in closets, full bath, large storage area, additional laundry hookup and walk-down from the over-sized heated, finished 3+ stall garage. 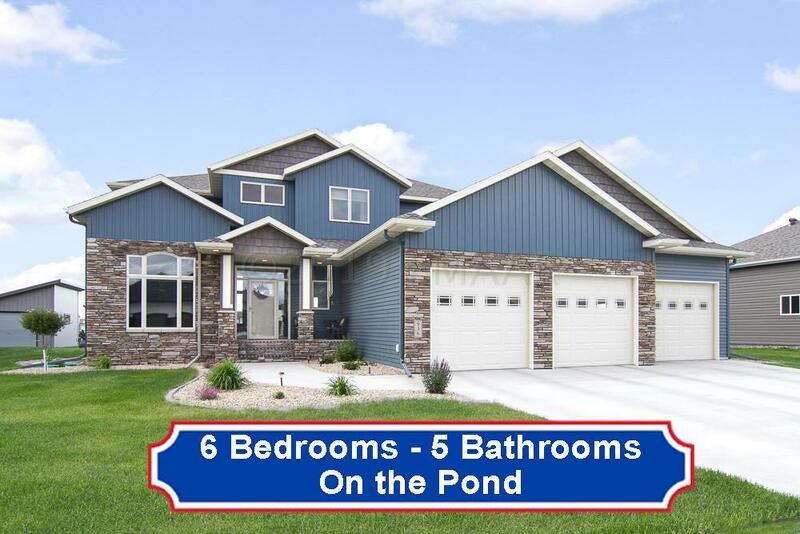 You cannot build this home with all these features for less! 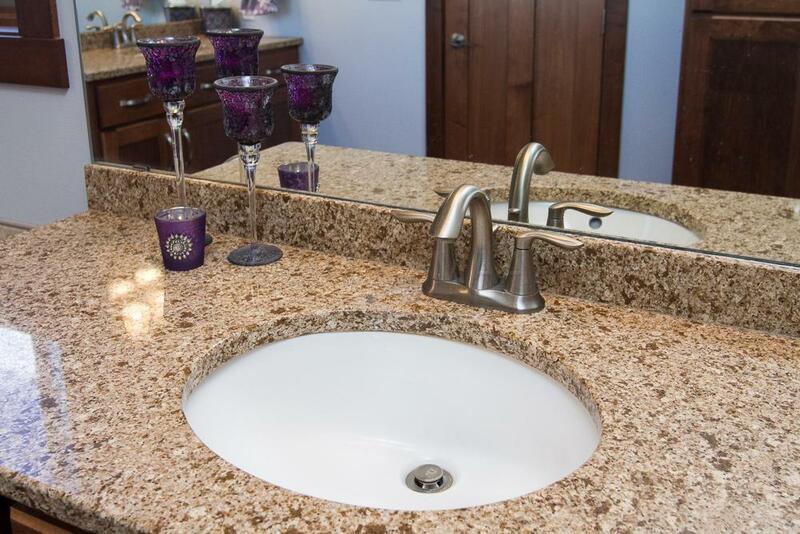 Gracious in its elegance and magnificent in its scale and design. 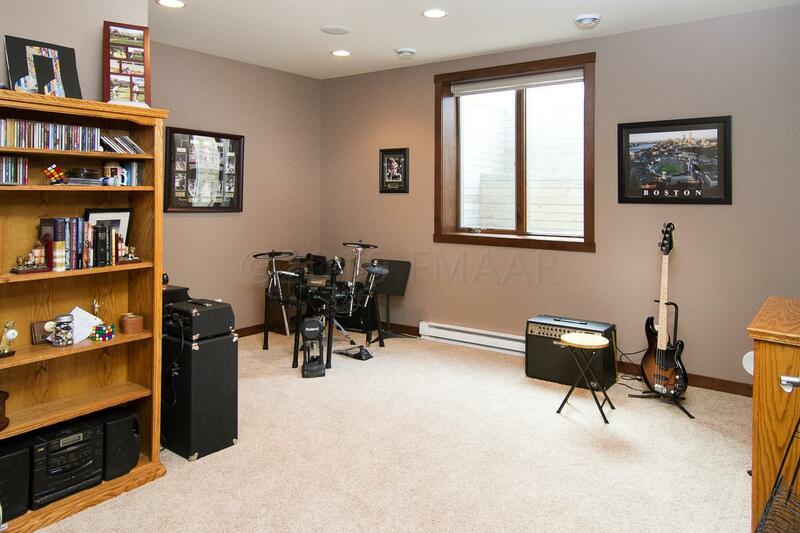 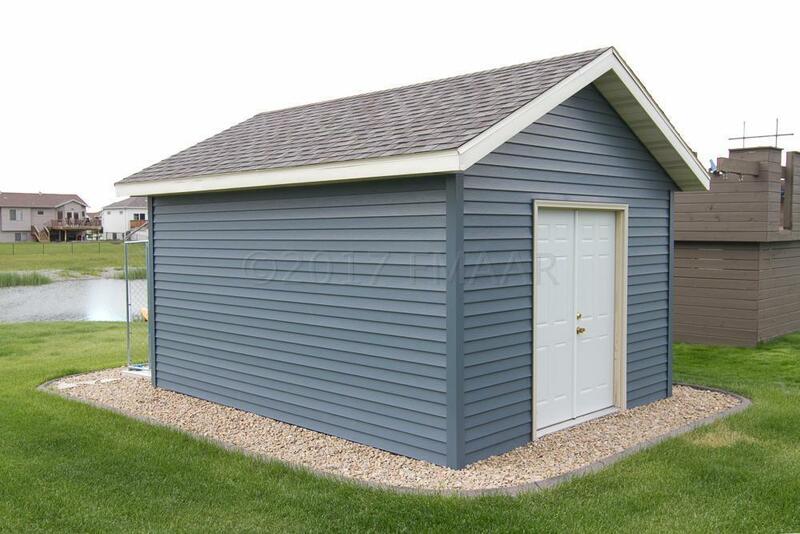 This his home has all the amenities you would expect. 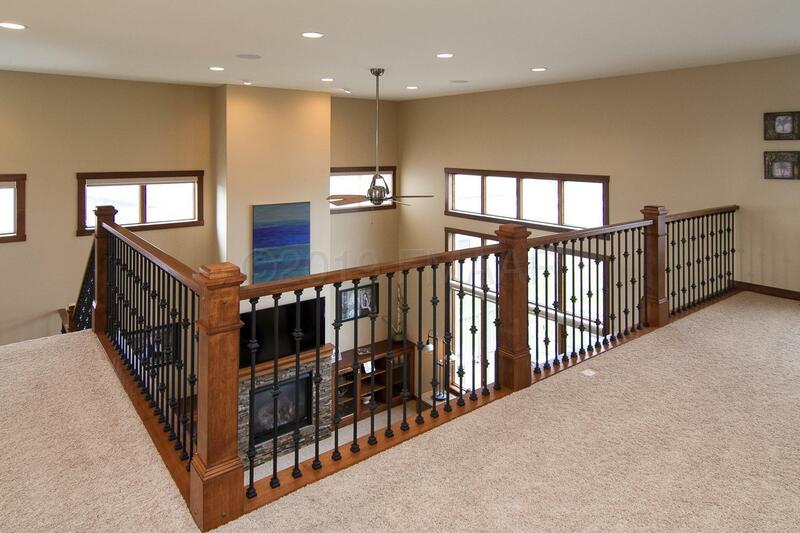 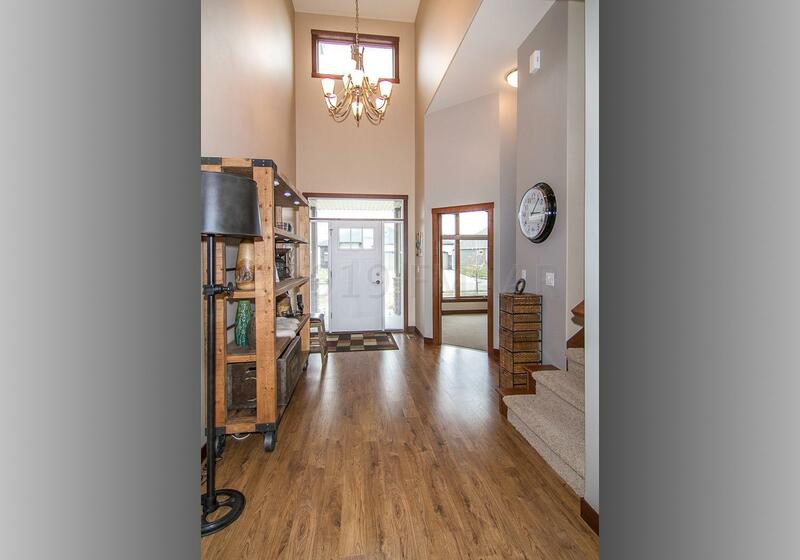 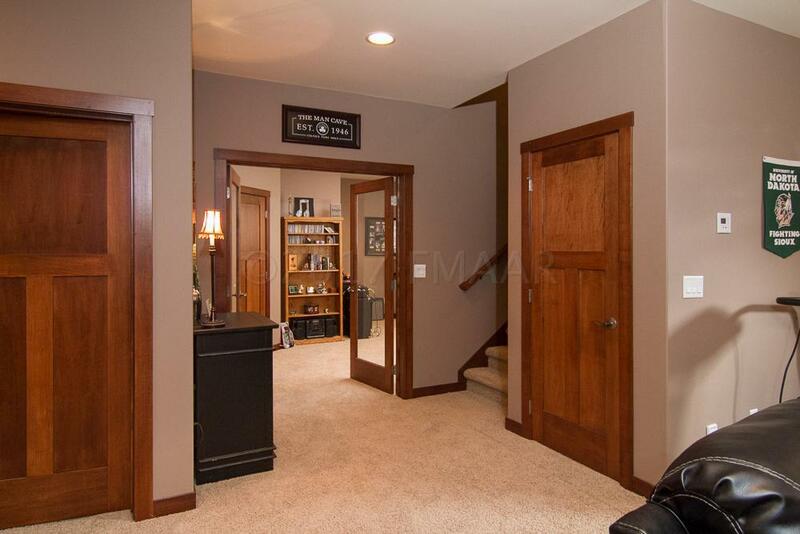 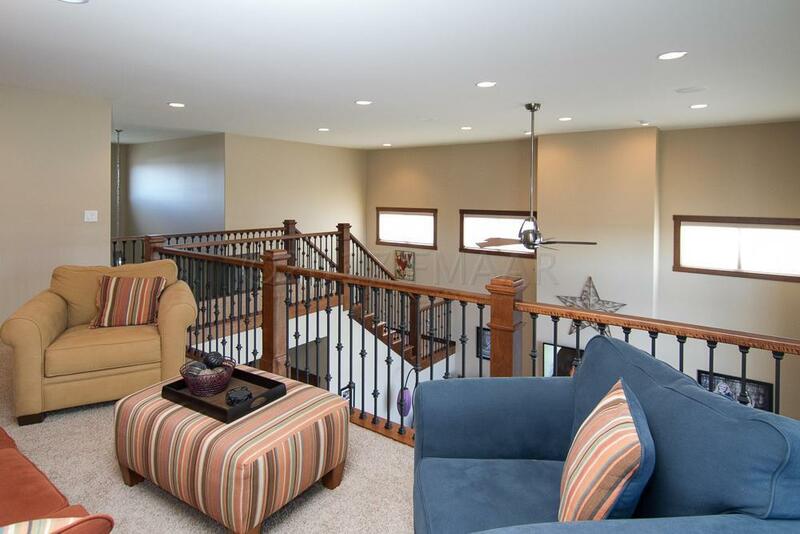 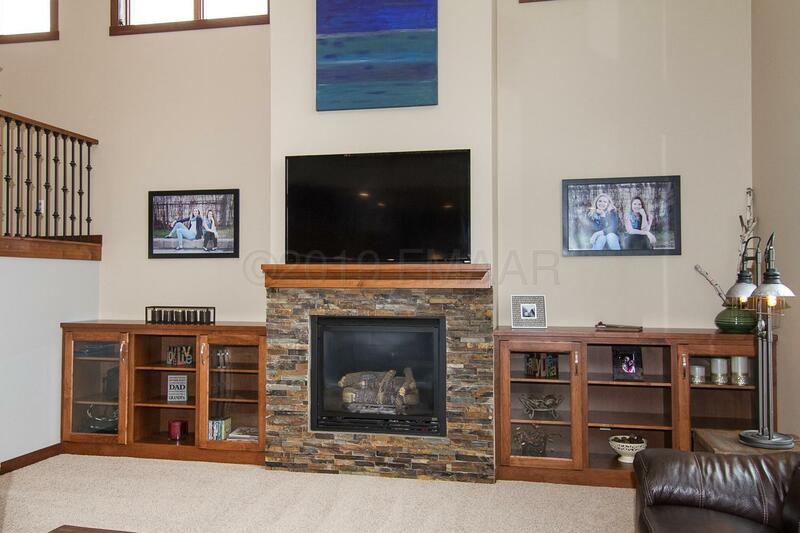 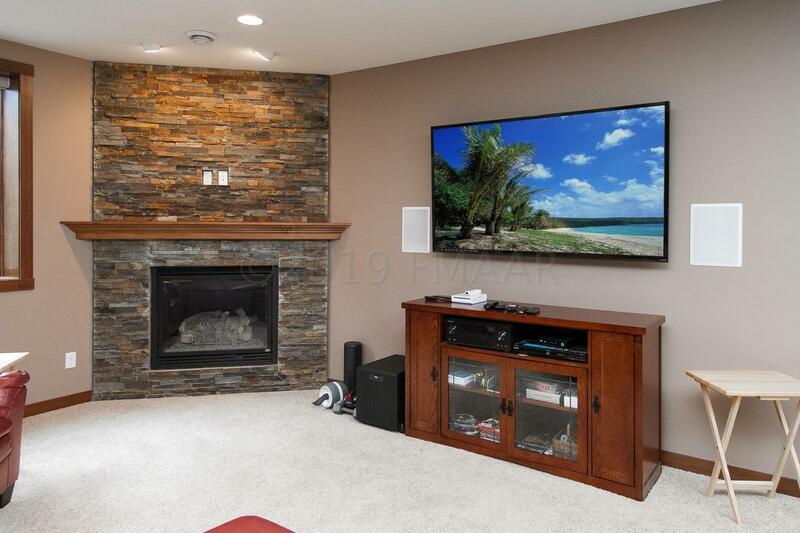 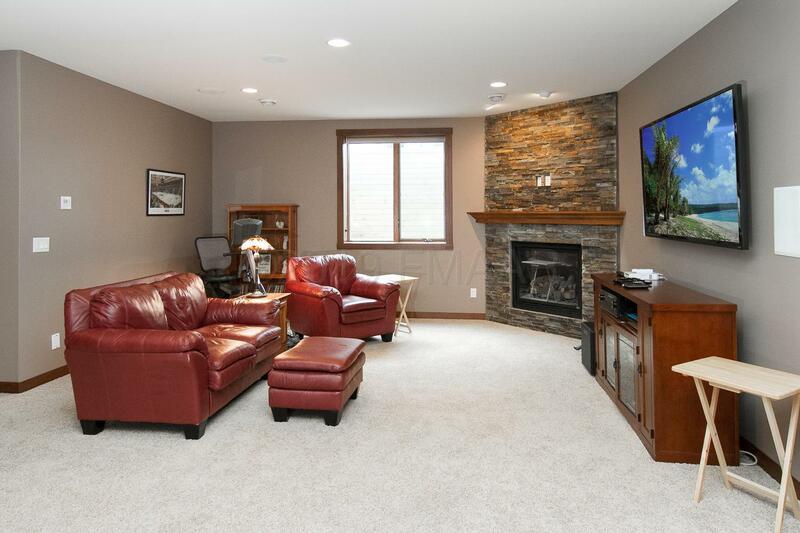 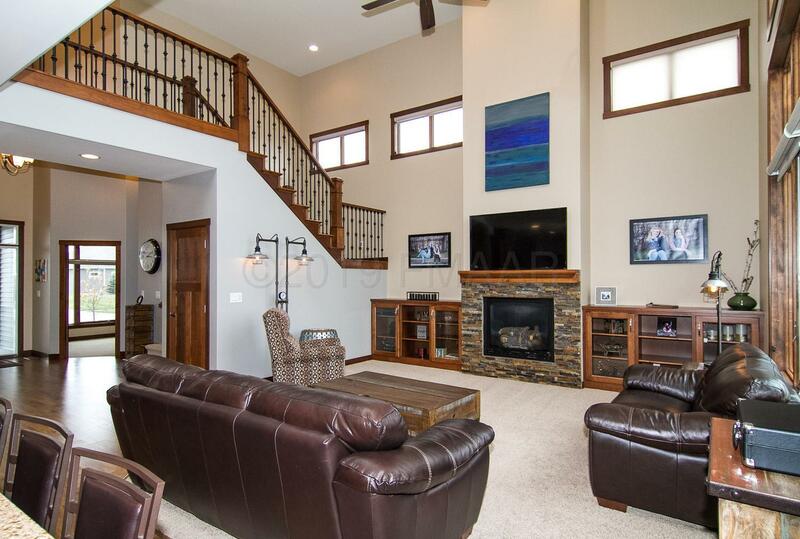 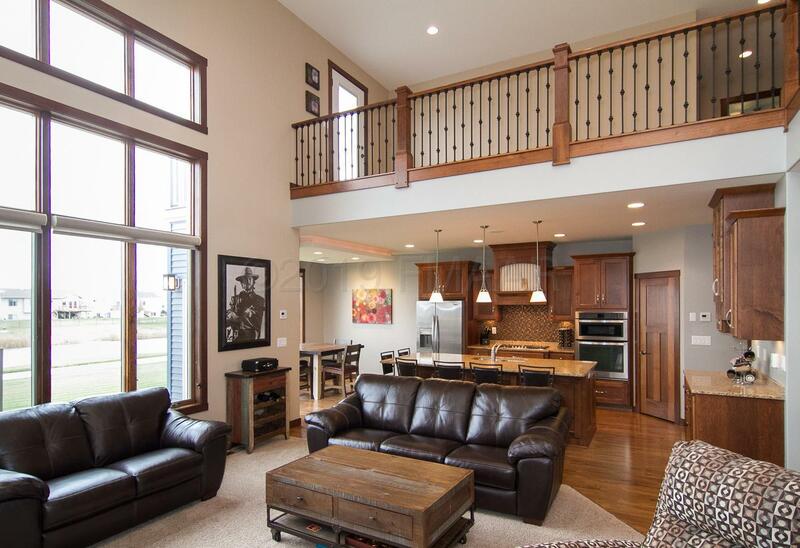 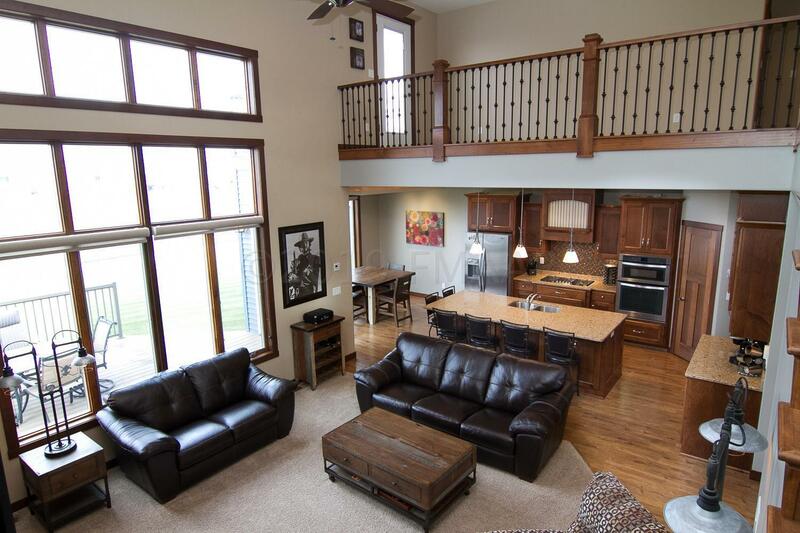 Family Room: Granite bar/heated floors/9' ceilings.